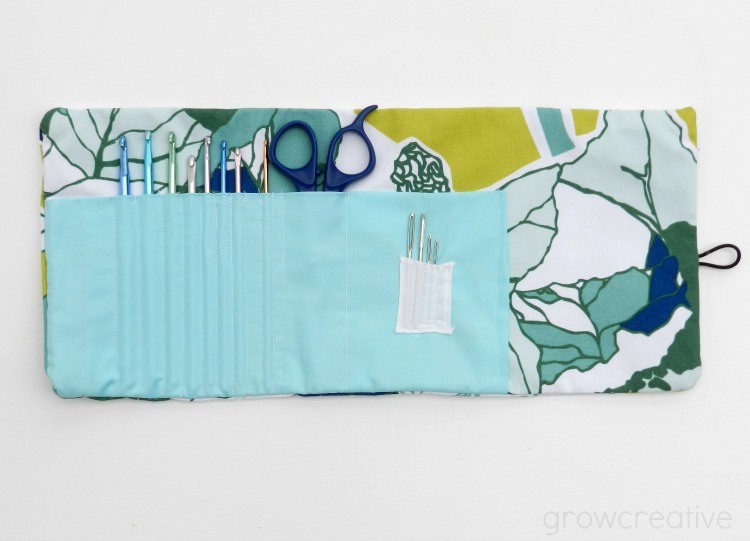 All you crocheters out there, where do you keep your crochet hooks? For the longest time I was storing mine in an empty pirouline cookie tin left over from a Christmas long ago. It was bulky and awkward... not to mention noisy...lol! Well I've finally graduated to a real crochet hook case. One that I sewed all on my own! To make this, I followed a free tutorial posted at Little Birdie Secrets. Awesome tutorial! I opted out of the rounded top flap and left mine square. It works perfectly! Mine does have a few little flaws too- I really need more sewing experience. My little needle pocket is a weird shape, but oh well. I'm happy with it! It feels good to be organized! Perfect timing Elise .... I spent an hour yesterday evening trying to find my crochet hooks! :) Thanks for posting this - I'm going to have a go at it. I hope you're feeling a bit better ... Spring is on the way and that'll lift all our spirits. That is so cute - I am definately going to have a go at making one of these, thank you for posting the link. You did a great job of yours, lovely fabric too. 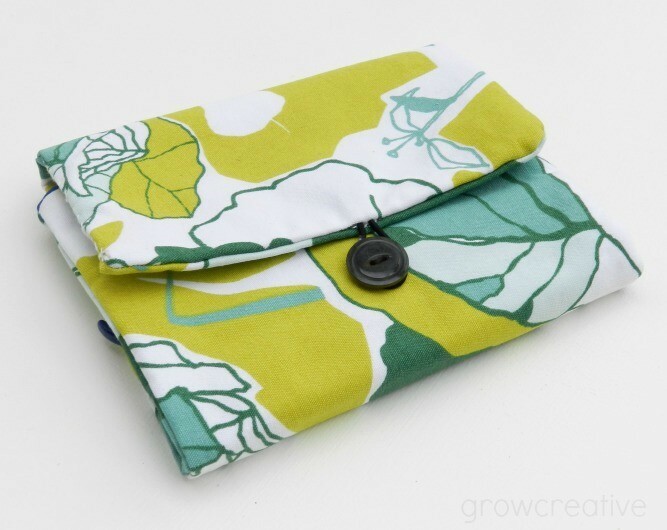 What a cute pouch – and such nice colors! 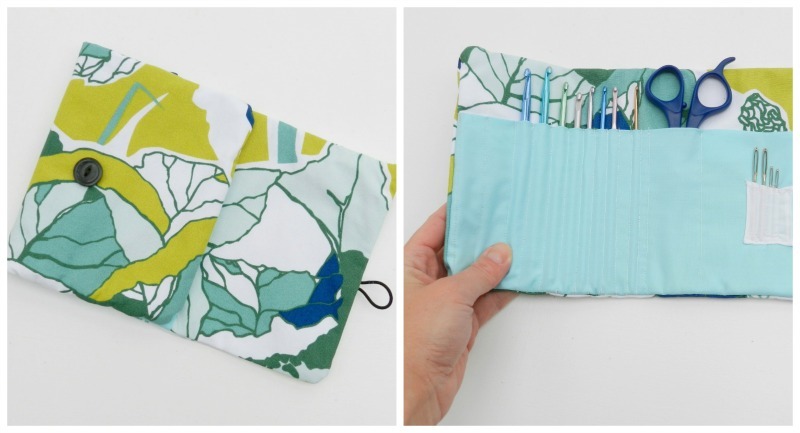 You could probably use the same pattern for a paint brush case for when you travel. Good job on the sewing! I need to dust off my machine and try to do something with it. I don't crochet, but I bet my daughter could use something like this for her knitting needles...just have to adapt a little! Visiting from the Link Party Palooza! This is awesome! I love the fabric!